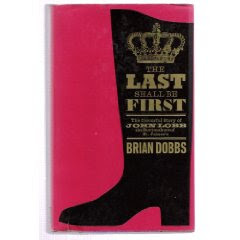 This famous book is well-named-: its sub-title is ‘The colourful story of John Lobb, the bootmakers of St James’s’. That colour comes from tales of the young Lobb, social history of the development of bootmaking and pocket biographies of the shop’s most famous customers. But fortunately there is also colour about the product – the boots themselves. Just skip the bits on the Lobb family and the lists of customers. For example, I didn’t know that traditionally the best brown shoes were always made out of Russia calf, the best black ones out of waxed calf. I wasn’t aware that the clicker in men’s shoes was the senior or “aristocratic” role – he was the foreman that handed out the work to the other craftsmen, which makes sense I suppose, as his was the first stage. And I didn’t know that in the middle of the nineteenth century, bootmakers were the most numerous of any trade in London (apart from “general labourers”). It is also interesting to read about the habits of Lobb customers. The average man bought 2-5 pairs a year, but there were few such men and they were all very rich. One, Frank Harris (“king of Pornographers” in late Victorian England), bought a pair of Russian leather laced boots, some calf toecaps, calf boot toecaps and a pair of patent “no caps” in 1899. Lord Alfred Douglas (‘Bosie’ in relation to Oscar Wilde) bought a “pair of Russia”, two pairs of calf button boots, “Russia caps” and patent Oxford no caps in 1902. While both men were at the height of their notoriety at this point, they must nonetheless have ended up with a lot of Lobb boots. Those boots took one (fast) craftsman about 12 hours to make. And in the late nineteenth century, a man had to make six every week just to feed his family. So the gap between craftsman and customer was rather larger than it is today, even though the price has inflated from £2-something to £2000-something. And then there’s my favourite story from the book. During the First World War it became very hard to get the hog’s bristles that shoemakers used to guide the waxed thread through the holes punched by the awl. Over a pint in the pub, six bootmakers settled on a plan and set out to Regent’s Park with apples, pears and nuts. They strolled into London Zoo, waited until no keeper was about and then converged on the hog enclosures. They used the fruit to tempt the animals forward, then grabbed two handfuls of hair each and ran. That was enough for six months of bootmaking. I highly recommend this book to anyone with an interest in traditional shoemaking. Just read it selectively. It is now out of print I believe, but it can be bought second-hand on Amazon from $30. You can follow the discussion on Book review: The last shall be first by entering your email address in the box below. You will then receive an email every time a new comment is added. These will also contain a link to a page where you can stop the alerts, and remove all of your related data from the site.